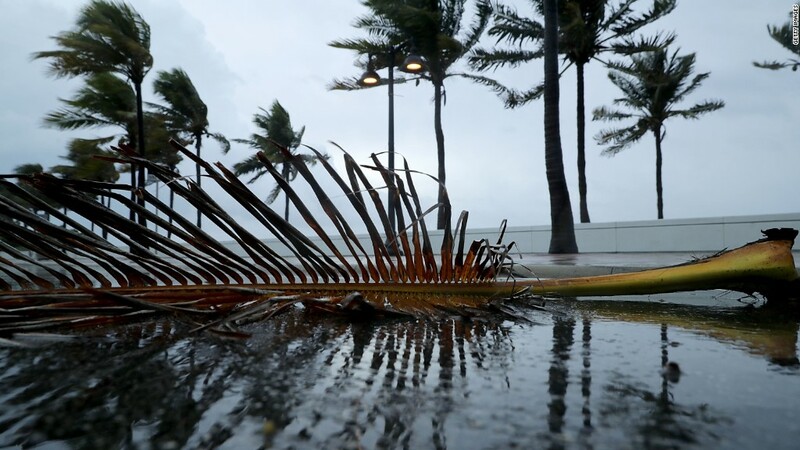 The IRS on Tuesday announced it was extending various tax filing and payment deadlines for those affected by Hurricane Irma. The relief is targeted to individuals and businesses in disaster areas designated by the Federal Emergency Management Agency (FEMA). This includes parts of Florida, Puerto Rico and the Virgin Islands of St. John and St. Thomas. Anyone who lives in one of the affected areas, or owns a business there, automatically qualifies and won't need to contact the IRS to request the extension. But the extension only applies to certain returns. The IRS will extend to January 31, 2018 the filing and payment deadlines for individual and business returns that were originally due this year starting from September 4 in Florida and September 5 in Puerto Rico and the Virgin Islands. For example, a person or business that ordinarily had to file quarterly estimated taxes by September 15 this year and January 16 next year will get the automatic extension. The same goes for individuals who already were granted an extension to file their 2016 taxes in mid-October. But it's important to note that anyone who still owes money on their 2016 taxes will not be granted an extension to pay what they owe. They're already late on that since all payments on 2016 taxes were due by April 18 of this year. In addition, the IRS is waiving late-deposit penalties for businesses that must make federal payroll and excise tax deposits in the first 15 days of the disaster period. And the agency said it would work with any taxpayers who may not live in the FEMA-designated area but who have records in the affected areas that they would need in hand to meet various tax deadlines. Those taxpayers should call the IRS at 866-562-5227 to discuss their situation. The IRS postponements are not the only form of tax relief victims of Hurricane Irma may be granted. In the next few weeks, lawmakers in Congress will consider the possibility of passing a large tax relief package for victims of Hurricane Harvey and Hurricane Irma, much the way they did in 2005 for victims of Hurricane Katrina. House Ways and Means Chairman Kevin Brady told CNN's Phil Mattingly that the goal is to help people in several ways. For example, accessing their retirements funds more easily, raising casualty loss limits and encouraging more charitable giving to the communities trying to recover from the hurricane.